To learn what he is saying—and we are thinking of a world in which the two World Wars, the Russian revolution, and the rise of Hitler were the main trends through which he was thinking out his ideas—we have to read Orwell. Some of his best pieces have just been brought together in a sleek new volume titled Critical Essays. This is apt, for it is as a criticism of currents in the present day that the essay form has the most power. The strongest of Orwell’s stresses (and hence the easiest argument to reproduce) was against totalitarianism, both of the communist and fascist varieties. As early as any other observer of his time, he grasped how the Soviet state was far more evil than the system which it claimed to refute, and that its “management" of thought and opinion could only end up making automatons of both the bureaucracy and citizens. We know well today the truth of Orwell’s argument that the organized deception practised by totalitarian states is not a temporary expedient, but is something integral to totalitarianism". Orwell’s interest in language as an instrument of politics—as a means not for expressing but “for concealing or preventing thought"—is what animates his most famous essay, Politics and the English Language. Here, Orwell’s attack on bad, overwrought or obfuscatory English is not made just as a writer. He also sees that such language can be a result not just of incompetence or laziness, but of a deliberate intent to distort or mask the truth. Orwell proves that it is often in the interest of the state to only pretend to be giving information or to be demonstrating intent, or empathy, or solidarity (he cites the classic bureaucratic cliche, “we will leave no stone unturned"). 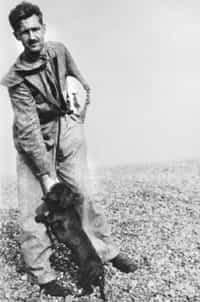 Orwell’s argument is of course aimed against the state and against the peculiar jargon of ideologies such as Marxism, of which he was a relentless opponent. But we could easily apply it to many forces in our times. The hysterical shrieking, pervasive sexualization and bad faith of so much advertising and PR-speak today are a conscious debasement of language, as is the peculiar argot of man agement schools, political parties and academia, and the many short-cuts of chatspeak. I don’t know about you, but many emails I get these days address me as “u" rather than “you", and to me this seems a diminishment not just of me, but potentially of language and thought itself. All these currents threaten our selfhood and independence as much as oppressive political power might. For Orwell, where thought is put to sleep, there begins the road to subjugation. Orwell is mostly serious, but he can also be very funny. His review of Charlie Chaplin’s The Great Dictator is a scream, brilliantly transmitting both the slapstick farce of the movie and its serious political message. In Confessions of a Book Reviewer, he writes of how, in reviewing so many mediocre books, a writer is “pouring his immortal spirit down the drain, half a pint at a time". These combative and vigorous essays have dated only slightly; both as a record of their times and as advice for our own times, they still have much to give.